Take the family on a memorable adventure through China to see all sides of this colourful, cultural and naturally beautiful nation. The perfect blending of the familiar and the novel, marvel at the incredible Great Wall of China and Terracotta Warriors, get lost in the quiet beauty of Yangshuo and be dazzled by the colourful markets and nightlife of the big cities. Boasting some of the grandest urban metropolises, friendliest people and most delicious cuisine in the world, China is an ideal destination for the whole family. Your adventure begins with a welcome meeting at 6pm today. Please look for a note in the hotel lobby or ask reception where it will take place. 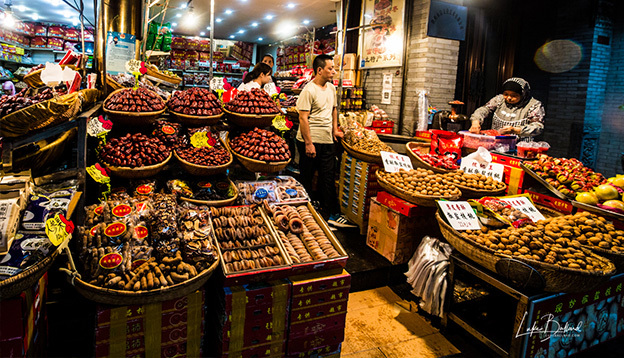 After arriving in Beijing, there will be plenty of time for relaxing, meeting the other members of your group, and exploring explore the Beijing Streets – with your hotel located centrally, a walk in any direction will unveil all sorts of wonderful surprises. Maybe head out with the group to enjoy the first of many superb Chinese meals. 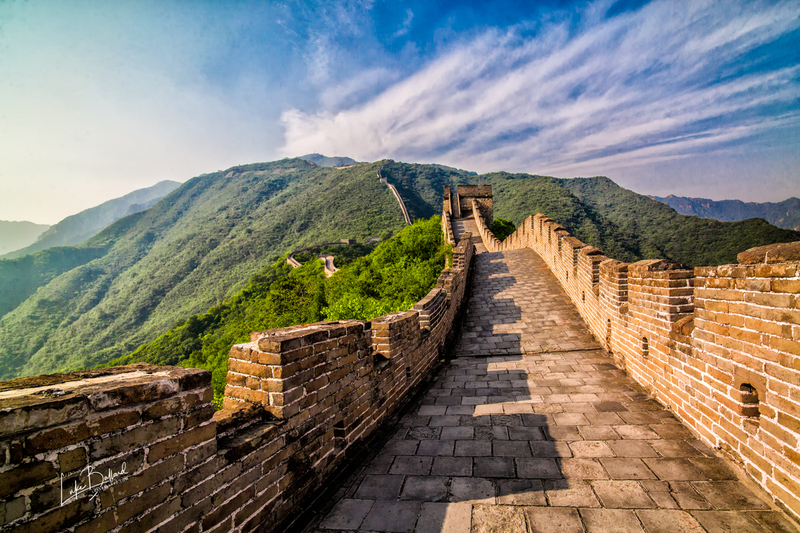 Pull on some comfy shoes and head to perhaps China’s best-known attraction, the Great Wall (approximately 2 hours). As historically significant as it is visually striking, this experience is often said to be one of the most memorable of the trip. Stretching over 5,000 kilometres from the coast in the east, the wall was built as a defence against invasion from the horsemen of the far north. Surrounded by woodland and countryside and around 90 kilometres from Beijing, the 1,500 year old Mutianyu section of the Great Wall is considered one of the best preserved and restored parts of the wall. Renowned for its Ming Dynasty guard towers (there are 22 of them over this 2,250 metre-long stretch) and built mainly of granite, the wall is an impressive sight at over 7 metres high and more than 4 metres wide. You’ll walk along a section of the wall, taking in the surrounding scenery and getting a feel for the sheer size of this amazing construction. Be sure to wear comfortable shoes and be prepared for lots of steps! Walking time on the Wall is 2.5-3hours. For those wanting a more relaxing way to get to the top of the wall there is the option of taking a cable car. The cost of the cable car is CNY100 per person per way and paid directly to the ticket box at the wall. Return to Beijing by private bus for an early duck dinner and then some free time, if you still have the energy. Today we take a local bus to visit the Temple of Heaven Park, a masterpiece of Chinese architecture, set in beautiful surroundings where people enjoy tai chi, fan dancing, diablo, kite flying, water calligraphy and more. We will spend 2 hours at the Temple of Heaven park. In the afternoon we will head back to the hotel (1 room per family provided), where there’s the chance to freshen up before transferring to the train station (approximately 30 minutes ) and boarding an overnight sleeper train to Xi'an (approximately 12 hours). The train arrives into Xian around 9:30am. You will head to the hotel drop off your bags, take time to freshen up in the hotels bathrooms (as rooms may not be available) then head out to explore! Explore the historical splendour of this ancient city on a walking tour. Dating back 6,000 years and once known as the main eastern terminus of the ancient Silk Road, Xi’an served as the imperial capital of 11 dynasties, holding a wealth of history within its cobbled pavements. The city itself has spread beyond these walls, but the centre still retains the original grid formation, making it easy to navigate. We'll be taken by our Group Leader on a walk to the city wall where we will get to bike on top of the city walls, a fantastic way to experience the city from a different angle. Visit our friends at a local charity: Huling ("wise spirit") and learn about the great work they are doing for the mentally challenged members of the community. The bike ride is 2hours. There are optional golf cars which also run on the wall for those who don't wish to ride, there is an additional cost for these which your leader can arrange for you. We will take a night time tour of the city when the Bell and Drum towers are lit up and end up enjoying another Chinese delicacy, a dumpling dinner. Wave goodbye to Xi’an and transfer (approximately 1 hour) to the airport, where you’ll catch a 1.5-hour flight to Chengdu, the capital of Sichuan province. 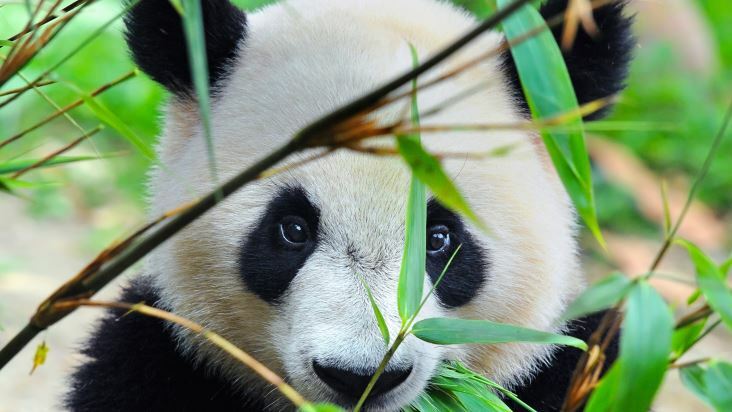 Chengdu is most famous for two things – the pandas living in the mountains, and the food. Its hot, spicy dishes are considered by the Chinese to be the best food in China. In such a food-loving country, this is no mean feat! Spend the day exploring the Old Town and Tibetan quarters of this quaint provincial area. Go on a walking tour (2hours) with your leader to visit Tianfu Square, where a giant statue of Chairman Mao stands tall. Relax in one of the most popular parks in Chengdu, Renmin Park (People's Park), where you can experience the amazing Chengdu tea culture, an essential part of people's daily life. This is a relaxing spot to spend a few hours – catch up on gossip in the tea-houses and watch locals exercising, singing, playing Mahjong or relaxing in their bamboo chairs drinking tea. Don't be surprised if somebody comes up to you with an offer to clean your ears! Be sure to tempt your taste buds and test your tongue at dinner tonight. We will try an authentic hot pot – a big pot of spiced broth where everyone can have fun selecting and cooking their own ingredients. The research centre is home to both giant and red pandas, and you can marvel at these incredible creatures in a close approximation of their habitat. It’s an early start as pandas are only active for a few hours of the day to eat and exercise, but the opportunity to get close to these remarkable animals is an experience not to be missed. Watch them play, eat bamboo and climb the trees. If you’re lucky enough you might even get to see newborns taking their first steps in the nursery (July-September).We spend 3 hours with these wonderful creatures. Start this more chilled portion of the trip at an easy pace – the same as the locals. Test out your moves with a local Kung Fu or Tai Chi teacher. In the afternoon, visit a local farmers' market, where you can get a feel for the regional produce and daily life. Then make a short drive to Chaolong, where you can put this new knowledge to use and learn the art of Chinese cooking. This class will allow the whole family to learn the techniques and skills of Chinese cuisine from experienced chefs, and after an afternoon trying out delicious recipes, you can eat what you’ve made for dinner! With recipes that are easy to make and ingredients readily available outside of China, you’ll soon be wowing friends and family back at home. Continue your Yangshuo adventure today, beginning with a chance to explore some more of one of China’s most epic landscapes. Head out of town on bikes to cycle through the surrounding countryside, and gain an insight into Chinese rural life on a ride where each turn in the road brings you to another picture-postcard location. Have lunch at a local farmer's restaurant before you continue your journey back into town. Today is a travel day. This morning around 8am, head to the train station and board the Bullet train towards Hong Kong. Experience the rush of speeding 300 km/h on the bullet train from Guilin to Shenzhen, before continuing on to Hong Kong. We arrive in the city around 5-6pm and get settled into the hotel. If there’s the time (and energy), end the day with the Symphony of Lights laser show in Victoria Harbour. Hong Kong has been back under Chinese rule since 1997 and it is a truly unique place where east and west meet. The vibrant and fast paced city is only minutes away from quiet islands and beaches. After breakfast we will head out on an orientation walk afterwhich you will have free time to further explore! 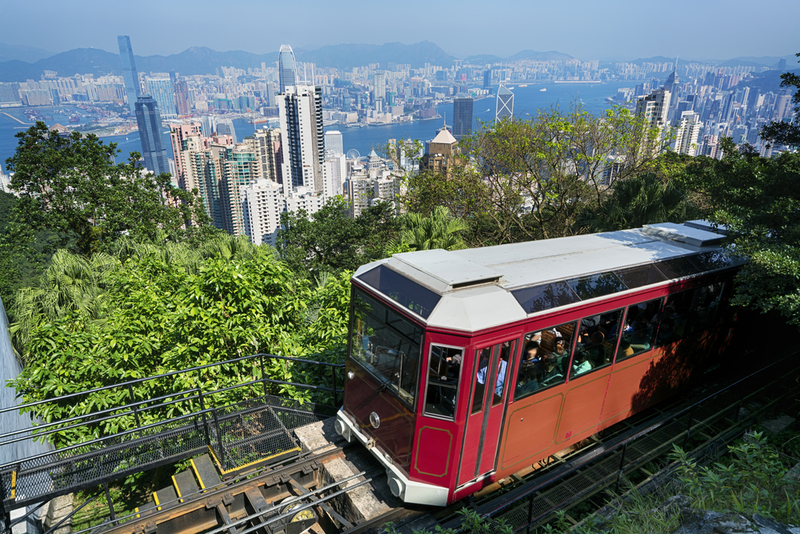 We suggest exploring Hong Kong Island on foot, take the tram to Victoria Peak for a panorama view of the city, or relax on the beach at causeway bay or Stanley. Whatever you want to do or find, you name it, Hong Kong offers a mix between East and west like no other. It’s time to end this enlightening journey into the heart of China – there are no activities planned for the final day and you are able to depart our accommodation at any time.